Future Earth modernist military building. This country is dependent on their banana export. Military controls the economy and the labor force. The population is very oppressed with the majority working in banana plantations without ideal working conditions, almost borderline slavery. The idea is to make a building design that houses a high-ranked military official, the center of power. This is the final sketch done based on the initial 3 sketch paintovers. In the end, I wanted to go for something simple compared to what I started with. 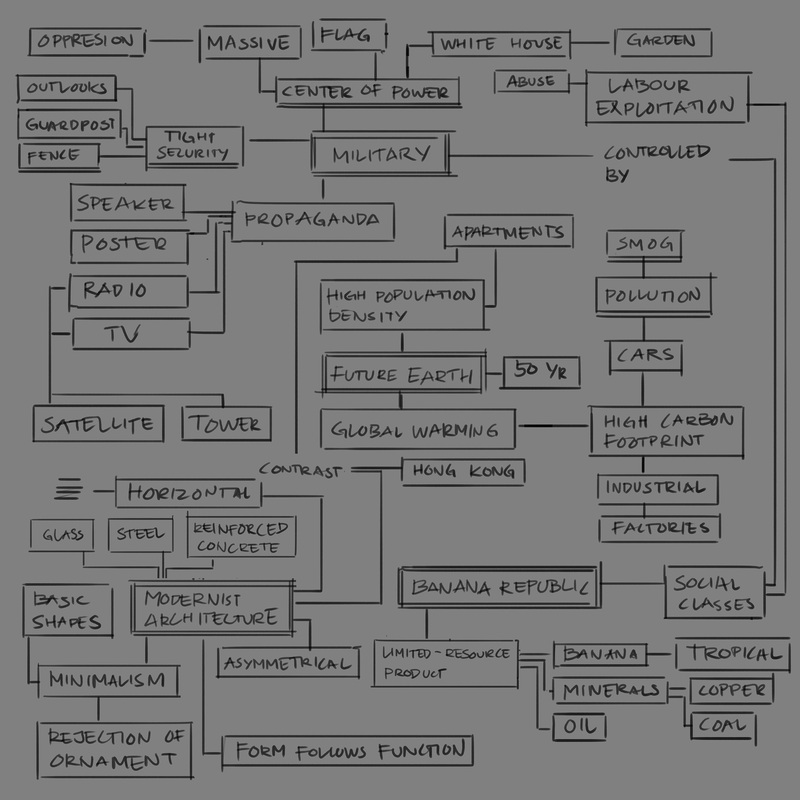 So I focused on building upon the 3rd sketch which, in my opinion, is best suited for the brief. As an alternative, I went further down the minimalism road. 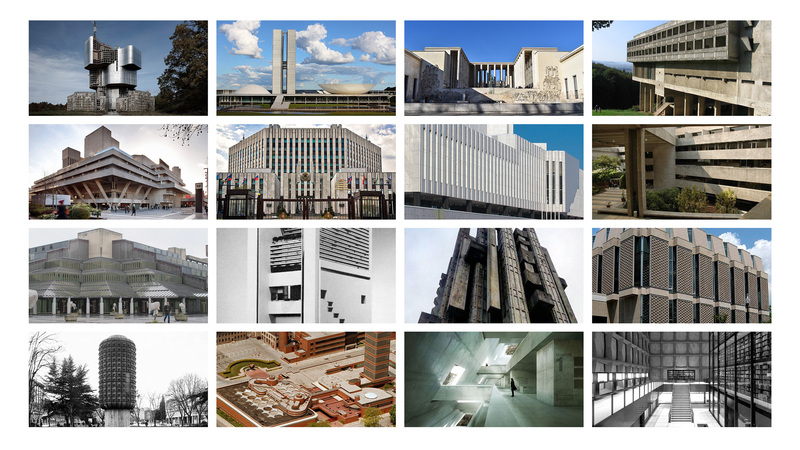 I really wanted to take inspirations from International Style Modernist buildings which typically have very basic shapes and almost no ornaments. I took a chance in doing the warm-up models and actually found them very useful. 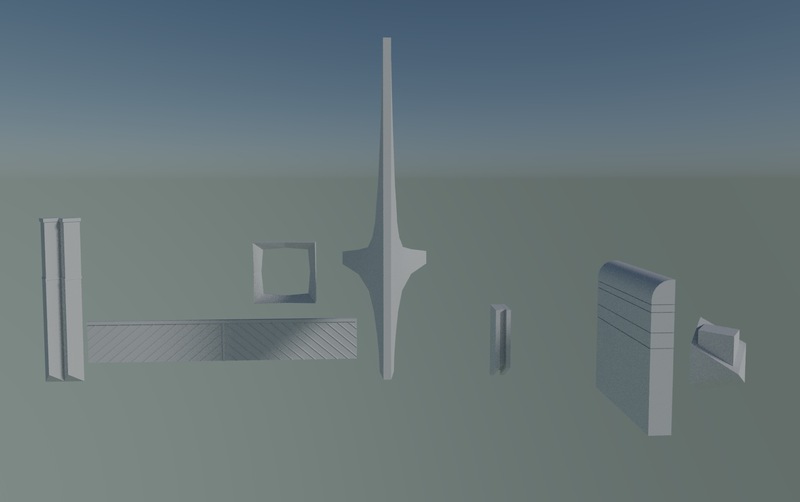 They can be used as kitbash pieces and what's more interesting is to develop ideas based on their basic shapes. 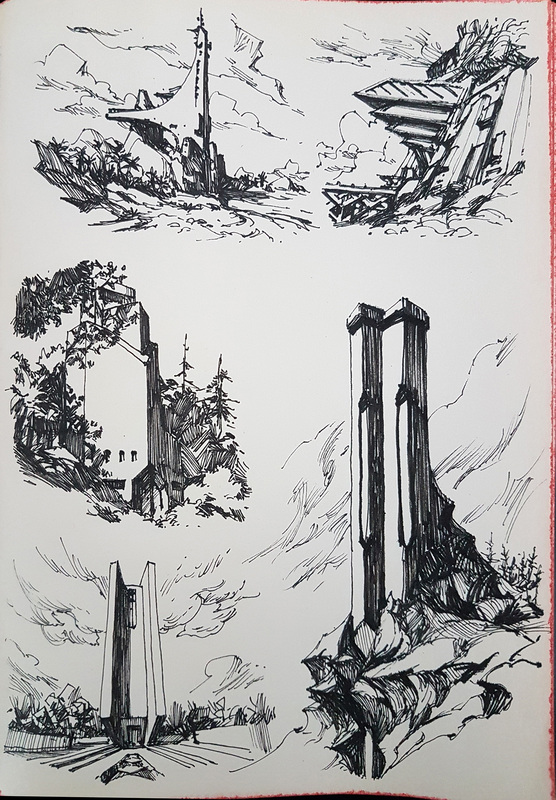 The building sketches were done while being heavily inspired by them. This in turn made me want to try making the alternate version of the final sketch. 3 sketch paintovers done on top of the raw renders out of Blender.